His argument is rather complicated and he bases his case on two Bible passages: 1 Chronicles 24:1-10, and Luke 1:23-27. He says, “In I Chronicles 24:1-10, there were 24 priests with two serving each month. Abijah served during the 8th order, which is the 4th month or July. (The first month in the Jewish calendar, Abib, is our April.) Read Luke 1:5, which is the same course found in I Chronicles 24. “Abijah” (Hebrew) and “Abiah’ (Greek) are the same. Therefore, Zachariah, the father of John the Baptist was serving his term during July. In Luke 1:23-27 we find Elisabeth conceived in either August or September. Her first month was September or October. Notice…in Elizabeth’s 6th month, February or March, the Virgin Mary conceived. Mary’s first month was March or April; therefore, her 9th month would be either November or December. 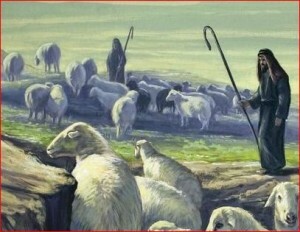 Since the “greater rains” are in December, causing the grass to grow, it is fitting that Luke 2:8 should tell that the shepherds and their sheep were in the fields at the time of Christ’s birth.” Just because someone with a microphone and a camera pointed at them tells you it’s not so, doesn’t make it so! Just because there are a lot of letters after someone’s name, doesn’t guarantee the accuracy of their opinions. There is no compelling evidence to reject the traditional date of Jesus’ birth. Don’t let what you hear dampen your celebration of the birth of our Savior!